About Dr. Todd Alea M.D. Stem cells have the remarkable potential to develop into many different cell types in the body during early life and growth. In addition, in many tissues they serve as a sort of internal repair system, dividing essentially without limit to replenish other cells as long as the person or animal is still alive. In living tissue, the main purpose of adult stem cells is to use cell division to repair and replace dying cells in order to regenerate damaged tissue. 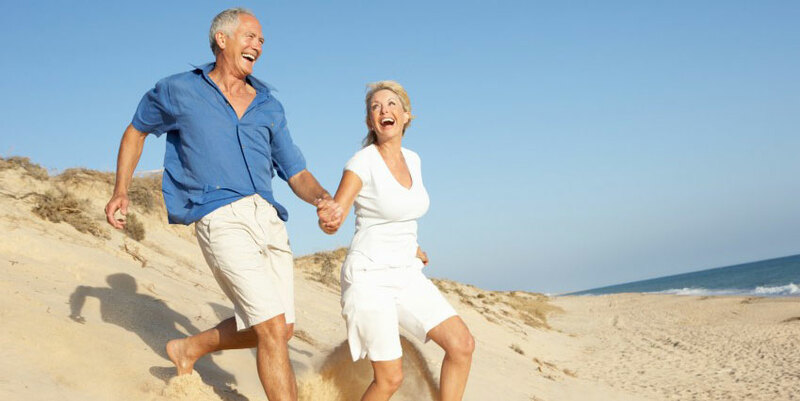 As we age our stem cells become less active, less numerous, or both. Stem cells can be stimulated with concentrated growth factors in platelet rich plasma (PRP) from a patient’s own blood. Stem cells are the “engineer” or “builder” cells that can help repair damaged structures. Each year millions of Americans suffer from musculoskeletal and arthritis pain. While some people get better over time, a significant number progress to chronic pain. The causes of musculoskeletal pain are numerous. Cartilage in joints can be damaged from trauma, an imbalance in the supporting structures causing compensation and accelerated overuse, or normal degenerative wear and tear with age. Muscles and tendons can be damaged in similar ways. Acute injuries can damage tissue, which can lead to scar tissue and chronic weakness of that body part. Surgery can become complicated or not effective. The general indication for PRP and stem cell procedures is for injury of connective tissue or cartilage which has not responded to the usual pattern of medical intervention. The benefits of regenerative stem cell and PRP procedures are primarily to reduce pain and increase function. Candidates also seek alternative treatments to surgery, which is not always successful, and has it’s own inherent risks, costs, and recuperation time. Patients are able to feel younger, continue to function and perform activities that they are used to, and not worry about a long recuperation or rehabilitation period. Cortisone or steroid injections are sometimes useful, but chronic and repetitive cortisone injections can actually weaken and damage joint structures. The use of opiate and/or anti-inflammatory medications is usually reduced because of decreased pain. The inherent risks, costs, and complications with long term use of these medications is then decreased or removed. Our procedures are done on an outpatient basis under fluoroscopic or ultrasound guidance. There is usually only minimal discomfort that is easily controlled with local anesthesia. There are no astronomical hospital or surgical bills, scheduling can be done within a few days and the procedure usually lasts an hour and patients return home to normal “light duty” activities immediately. Exercise and/or physical therapy should usually start within a week. Every patient is different so consult with Dr. Alea for the exact instructions. The general response rate is that 85% of patients receive significant(at least 50%) pain relief. Subsequent hyaluronic acid “joint lubricant” treatments such as Hyalgan, Orthovisc, Synvisc, etc are more effective after stem cells are active inside the joints. Stem cells and PRP have also been shown to strengthen joints or ligaments intraoperatively and postoperatively by decreasing the amount of scar tissue that forms after surgery. There is no allergy or rejection because the stem cells and PRP are from the patient’s own body. No negative long-term effects to this procedure have been reported. Dr. Alea does not harvest embryonic stem cells and is therefore not related to any controversial debates or other risks. Stem Cell procedures are not FDA approved. However, our procedure is compliant within the guidelines listed in the FDA Code of Federal Regulations 21 Part 1271. Modern medicine in the US and throughout the world has been using stem cell transplant techniques such as bone marrow transplants to help treat patients with diseases such as leukemia, aplastic anemia, and certain inherited blood conditions for over 40 years. Bone marrow transplants are also not FDA approved, but they are also in compliance with CF21 Part 1271(121.15.b). Dr. Alea has been practicing minimally invasive interventional pain management since 2003.He then relocated back to south Florida to rejoin his family and start his career in private practice. Dr Alea enjoys multiple athletic activities and anything outdoors, including boating and fishing. He enjoyed playing amateur baseball at a high level until the age of 40. His athletic career caused excessive wear and tear on his body, causing multiple injuries and chronic degenerative changes. He employs many of the same treatments on himself as he recommends for his patients. Platelet Rich Plasma, or PRP, is blood plasma with concentrated platelets. The concentrated platelets found in PRP contain huge reservoirs of biologically active proteins, including growth factors that are vital to initiate and accelerate tissue repair and regeneration. These “bioactive proteins” initiate (or REinitiate) connective tissue healing, bone and possibly joint surface regeneration and repair, promote development of new blood vessels, and stimulate the wound healing process. What are stem cells and why are they important? 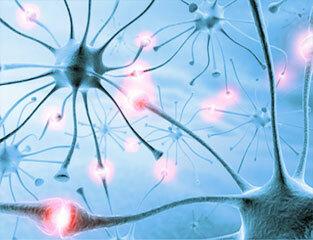 Stem cells have the remarkable potential to develop into many different cell types in the body. The mesenchymal stem cell (MSC) is associated with musculoskeletal tissue and differentiates into chondrocytes to repair cartilage or myocytes to repair muscle and/or tendons. Stem cells can be stimulated with concentrated growth factors in platelet rich plasma (PRP). In areas that typically don’t heal well on their own, such as knee, hip, shoulder, cervical, and lumbar joints, we can introduce stem cells to repair damage or degeneration. There is also research proving its benefit in non-union fractures. The MSC is abundant in bone marrow and adipose tissue and can be harvested in the office within 20-30 minutes. It can then be injected into the preferred location under ultrasound or fluoroscopic guidance. The general indication for PRP and stem cell injections is an injury of connective tissue or joints which have not responded to the usual pattern of noninvasive medical intervention such as physical therapy. Studies of PRP use in chronic tennis elbow (lateral epicondylitis) (2,10) and calf tendonitis (Achilles tendinopathy) (3,5,6) have shown PRP to be both effective and safer than corticosteroids. The studies of chronic tennis elbow have shown that after a series of PRP injections, patients remained pain free past the 24 months studied. (11) Other studies have shown similar results a year after a single injection. Studies of stem cells are less numerous but more efficacious, and many more studies are in the pipeline. We expect Medicare and other insurance companies to cover this less invasive and autologous treatment within 5 years as research increases. PRP and stem cell injections have proven effective in decreasing symptoms resulting from a variety of musculoskeletal conditions including chronic refractory patellar tendinopathy,(4) degenerative cartilage lesions in the knee (7,12), chronic patellar tendinitis (8), and osteoarthritis of the knee (9,12). Research suggests the effects are superior in quality and duration to viscosupplementation with hyaluronic acid injections into the knee (12). When PRP is combined with MSC’s, the regenerative effects are superior to any other medical treatment. What are Tendons & Ligaments? Tendons connect the muscle to the bone making it possible for you to do many every day physical activities. Overuse or damage to the tendon over a long period of time causes the collagen fibers in the tendons to form small tears, a condition called tendinosis. Damage to tendons most often occurs in the knee, ankle, shoulder, wrist, biceps, calf, and Achilles tendons. Ligaments are composed of collagen fibers that hold one bone to another, stabilizing the joint and controlling the range of motion. When a ligament is damaged, it is no longer able to provide support, weakening the joints. Tendons and ligaments have poor blood supply. Combined with the stress of day-to-day activities, they do not easily heal from damage. As a result, the tendons and ligaments “under-recover” becoming inefficient and may cause chronic pain and weakness. Medical intervention may be then become necessary to lessen pain or otherwise improve the condition. Patients can see a significant improvement in symptoms. This may eliminate the need for more aggressive treatments such as long-term medication or surgery, as well as a remarkable return of function. How Does PRP/MSC Therapy Work? To prepare PRP, a small amount of blood is taken from the patient. The blood is then placed in a centrifuge. The centrifuge spins and automatically produces the PRP. The entire preparation process takes less than 30 minutes and increases the concentration of platelet and growth factors up to 500%. When PRP is injected into the damaged area, it stimulates the tendon or ligament causing mild inflammation that triggers the healing cascade. As a result, new collagen begins to develop. MSC’s are taken from fat harvest or bone marrow. Studies have shown that cortisone injections may actually weaken tissue. Cortisone shots may provide temporary relief and stop inflammation but may not provide long-term healing. PRP/MSC therapy is healing and strengthening these tendons and ligaments; thus strengthening and thickening the tissue. PRP injections can be performed in tendons, ligaments and joints in many regions of the body. Sports injuries, arthritic joints, lower back, and more specific injuries including tennis elbow, partial ACL tears, certain forms of shin splints, rotator cuff partial tears, plantar fasciitis, bursitis of the hip, knee, elbow, Achilles’ tendon may all be effectively treatedwith PRP. How Many Treatments & How Often Do I Need to be Treated? While responses to treatment vary, most people will only require 1 or 2 treatments. There is no real limit to the number of treatments you can have. It will vary based on the severity of the injury or degenerative condition. The risks and side effects do not change. Is PRP/MSC Right For Me? If you have a tendon or ligament injury and traditional methods have not proven to be adequately beneficial, then PRP therapy may be a solution. The procedure is less aggressive and less expensive than surgery. It will heal tissue with minimal or no scarring and alleviates further degeneration of the tissues. There will be an initial evaluation with your doctor to see if PRP therapy is right for you. You are restricted from the use of non-steroid anti-inflammatory medications (NSAIDs) one week prior to the procedure and throughout the course of treatments. Initially, the procedure may cause some localized soreness and discomfort. Most patients only require some extra-strength Tylenol to help with the pain. Ice and heat may be applied to the area as needed. The first week after the procedure, patients will sometimes start a rehabilitation program with physical therapy; however, aggressive physical activity and impact exercise is discouraged. How Soon Can I Get Back To Normal Physical Activities? PRP/MSC therapy helps regenerate tendons and ligaments but it is not a quick fix. This therapy stimulates the growth and repair of tendons and ligaments, requiring time and rehabilitation. Through regular visits, your doctor will determine when you are able to resume regular physical activities. South Florida Stem Cell Therapy Center and affiliates do not claim that treatment using autologous stem cells are a guaranteed cure for any condition, disease, or injury. All statements and opinions provided on this website are for educational and informational purposes only and we do not diagnose or give medical advise via this website. Individuals interested in stem cell therapy are urged to review all pertinent information and do their own research and consult with a physician before choosing to participate in any suggested treatment.